Weird Science: Bacteria that poop gold nuggets | Watts Up With That? From the New University of Halle and the “best infection ever” department comes this bit of weird science that I found interesting. High concentrations of heavy metals, like copper and gold, are toxic for most living creatures. This is not the case for the bacterium C. metallidurans, which has found a way to extract valuable trace elements from a compound of heavy metals without poisoning itself. One interesting side-effect: the formation of tiny gold nuggets. A team of researchers from Martin Luther University Halle-Wittenberg (MLU), the Technical University of Munich (TUM) and the University of Adelaide in Australia has discovered the molecular processes that take place inside the bacteria. The group presented their findings in the renowned journal Metallomics published by the Royal Society of Chemistry. The rod-shaped bacterium C. metallidurans primarily lives in soils that are enriched with numerous heavy metals. Over time some minerals break down in the soil and release toxic heavy metals and hydrogen into their environment. “Apart from the toxic heavy metals, living conditions in these soils are not bad. There is enough hydrogen to conserve energy and nearly no competition. If an organism chooses to survive here, it has to find a way to protect itself from these toxic substances,” explains Professor Dietrich H. Nies, a microbiologist at MLU. Together with his Australian counterpart, Professor Frank Reith from the University of Adelaide, he was able to prove in 2009 that C. metallidurans is able to deposit gold biologically. Why it does this and the exact processes that take place remained unknown. Now the researchers have finally been able to solve the mystery. 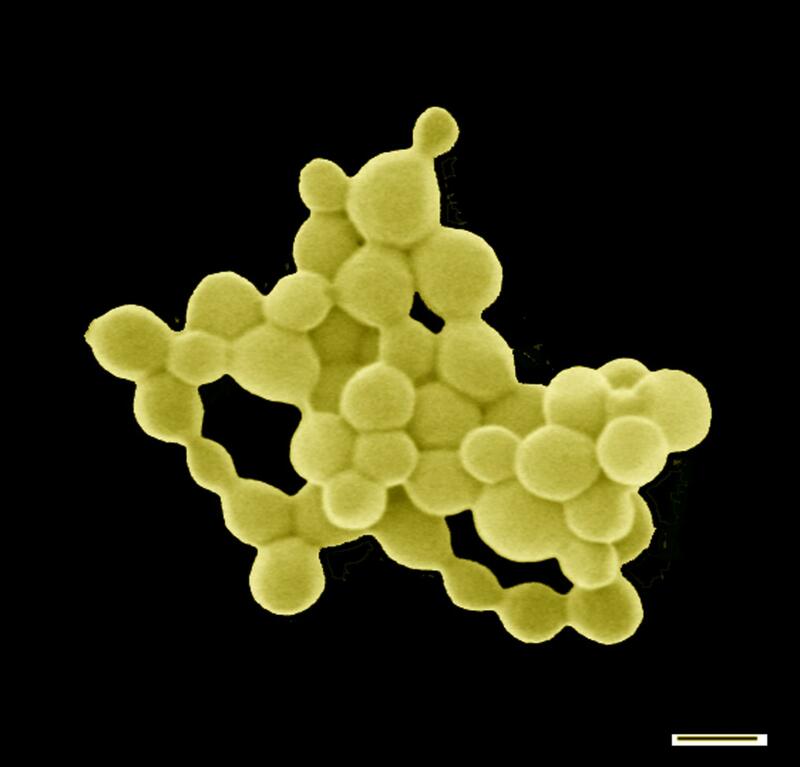 Gold enters the bacteria the same way as copper. Copper is a vital trace element for C. metallidurans however it is toxic in large quantities. When the copper and gold particles come into contact with the bacteria, a range of chemical processes occur: Copper, which usually occurs in a form that is difficult to be taken up, is converted to a form that is considerably easier for the bacterium to import and thus is able to reach the interior of the cell. The same also happens to the gold compounds. When too much copper has accumulated inside the bacteria, it is normally pumped out by the enzyme CupA. “However, when gold compounds are also present, the enzyme is supressed and the toxic copper and gold compounds remain inside the cell. Copper and gold combined are actually more toxic than when they appear on their own,” says Dietrich H. Nies. To solve this problem, the bacteria activate another enzyme – CopA. This enzyme transforms the copper and gold compounds into their originally difficult to absorb forms. “This assures that fewer copper and gold compounds enter the cellular interior. The bacterium is poisoned less and the enzyme that pumps out the copper can dispose of the excess copper unimpeded. Another consequence: the gold compounds that are difficult to absorb transform in the outer area of the cell into harmless gold nuggets only a few nanometres in size,” says Nies. In nature, C. metallidurans plays a key role in the formation of so-called secondary gold, which emerges following the breakdown of primary, geologically created, ancient gold ores. It transforms the toxic gold particles formed by the weathering process into harmless gold particles, thereby producing gold nuggets. The study conducted by the joint German-Australian research team provides important insights into the second half of the bio-geochemical gold cycle. Here primary gold metal is transformed by other bacteria into mobile, toxic gold compounds, which is transformed back into secondary metallic gold in the second half of the cycle. Once the entire cycle is understood, gold can also be produced from ores containing only a small percentage of gold without requiring toxic mercury bonds as was previously the case. February 1, 2018 in Curious things. What would happen to Earth’s Climate and Weather if we had no Moon? A rod shaped bacterium! The original Goldfinger? The germ with the Midas touch. Why are the authors fixated on the adjective “toxic”? Centuries ago Paracelsus observed that the poison is in the dose. Since these creatures Cupriavidis metallidurans survive this routine process, the gold and heavy metal are, by definition, non-toxic as the relevant doses. I have quite a weight of gold fillings in my mouth, also non toxic. Well, copper is toxic to almost all bugs in concentrations discussed there. I think the scientists know it is not an intrinsic property of copper that it is ‘poisonous’, but oftentimes the press releases are written by nonscentists. In the UK in an attempt to “modernise” our hospitals, brass doorknobs were replaced with plastic, the result was more hand to hand cross-infection because the bacteria thrive on plastic and the copper in brass killed them. Also, Geoff, remember the blood of horseshoe crabs is copper-based and this copper would not be toxic to them either. Remember the universal newspaper editors comment: If it bleeds it leads. That is things like toxic, poison, blood everywhere, Trump is a racist, etc appear on the front page. Geoff, zero threshold toxicity is due to associated belief all toxins accumulate. Almost as absurd as homeopathy. Yes, mercury can bioaccumlate but this requires specific conditions. Humans excrete heavy metals in hair, skin and nails thanks to sulfur containing amino acids. When I was at college there was a fringe group who believed in homeopathy and we did some tests to show it was all rubbish. It did show zero success in all cases except that of allergy treatment where it worked better than any conventional medicine. It was only a relatively small sample of about two hundred so there were only a few of each type. I would love to see a proper study of it for allergy on a larger scale done by open minded observers. For anything else you will never convince me it is worth a dud penny. my doc said i had an amazing tolerance re duration and no reactions. Gold fillings are the unabsorbable solid verion of gold. Bioactive gold salts will kill people in the microgram level. Can you provide me with a source for your claim? What is the LD50 for gold salts? It is pretty difficult to put gold into solution to be available to an organism, so I’m skeptical of your claim. A gold salt (sodium aurothiomalate) is used in the treatment of rheumatoid arthritis. Very rarely, the patient suffers from neurologic complications that disappear on cessation of the treatment. As the authors of the following paper note: ” There appears to be no relationship to the type of gold compound, the solvent, the rate of dosage increase, or the cumulative dose” to explain the onset of symptoms. Thus the discovery of the LD50 would appear to serve no particular purpose. It is an interesting article. However, it doesn’t come close to substantiating the claim that “Bioactive gold salts will kill people in the microgram level.” The RA doses were much larger, and injected over an extended period of time. It obviously doesn’t affect everyone the same because these individuals were so unusual as to warrant an article. It could be a specific sensitivity for some people and it wasn’t conclusively established that gold was responsible, only that a compound containing gold was. It could be a sensitivity to the thiomalate with any other noble metal substituting for gold. In any event, there seems to be substantial variation in the sensitivity of people and thus the blanket statement “… will kill people…” is not warranted. I agree Geoff. All part of the constant scare-mongering campaign. Only the goobermint can save us……. I agree the terms toxic and poison as commonly used create a false perception among non-scientists and many less astute scientists. It is true that toxicity of almost anything is all about dose intensity. The linear no threshold model that has been popular among left leaning environmental radicals and the Obama EPA has only served to reinforce the misperception. An excess concentration of any substance or energy source in the wrong part of a living organism can be toxic, but that doesn’t make it intrinsically bad, nor does it mean we need to remove that substance from our environment – a policy that almost always has much more harmful side effects. Toxicity is situationally and concentration dependent. As a basic example our Canadian Prime Minister was essentially harmless till he got voted into office. Clearly, they didn’t say that copper and gold are toxic to C. metallidurans. They said, “This is not the case” for them. I wish commenters would quote the words they disagree with. The authors are responsible for allowing the press release quoted above, which reads as if “toxic” and “metal” are joined at the hip. So you can also quote from the release where you find “toxic” used about 9 times and poison twice, or so. In the real world, copper compounds are essential at trace levels for the growth of plants and sre so ingested whenever plants are eaten. Apples, for example, contain sever copper enzymes that among other actions, cause flesh to go brown faster when exposed to air. Small organisms do a lot of work for us. My favourite are the yeasts that eat sugar and pee alcohol. They literally transform sugar water into wine. Many years ago I read a science fiction story about some scientists who journeyed to Mars. While exploring the countryside, they found smallish ingots of pure gold, meticulously shaped, left on the sandy surface of the planet. There was not much gold in the sand, but some. After some adventures of trying to find the source of these ingots, someone observed one of the indigenous life forms, an animal about the size of a badger, as I recall. The animal, walking or jumping around the surface of the planet, eating sand from time to time, came to a stop, looked thoughtfully around, raised its tail, and pooped–one of the perfectly-formed ingots! This story here on WUWT shows that we don’t have to go to Mars to find creatures that excrete gold. Hmmm.. I had a cute Japanese girlfriend in the 80’s that thought she had this same ability, too. Is it bad that I chuckled at that? Next year a genetically modified goose? There was a SF story about that, too! SF writer Arthur C. Clarke was also an avid scuba diver. He suggested a good application of genetic engineering would be to produce a variety of coral that extracts gold from seawater and sequester it in its skeleton. Sounds like genes in C. metallidurans would be a good starting point for genes to adapt and add to the alga portion of coral. A friend of mine took me up to an old hard rock mine to check out some of their tailing piles as he said that they contained some amount of gold. We went and scooped up around 30 gallons of the powdery material to take home for examination. First off, I did a pan of the material, but the only trace of note in the pan was a trail of light brownish tiny specks. It turns out that when you pushed this material into a clump, then you could see that the specks were ultra-fine gold. Now we need to figure out a reliable method of retrieval, and there is likely ounces sitting in the original pile. Darn, I was hoping they could turn lead into gold. That is possible, but who wants to keep shooting protons at a lead target hoping to knock 3 protons out of the nucleus? I suppose you could shoot alpha particles at it, but still it seems like an awful lot of work to get a radioactive but good electrical conductor. One benefit is that when the electricity is off, it still shines. platinum -196 and neutrons is easier, can’t recommend the economics though. Metallic gold can be put in the human body with no issues. We use gold film to block radiation on one side of our polymer based radioactive sheet to treat cancer tumors and margins after surgery. The sheet is bio-absorbable, but the gold film remains after the radionuclide decays and the treatment is finished. And gold coats the James Webb telescope mirrors ’cause it’s the only metal to reflect infrared in addition to visible light. While gold is an excellent IR reflector, it isn’t the only metal that reflects in the IR region. One of the reasons for the choice of gold is that after it is polished it won’t tarnish readily, thus destroying the polish. Tarnishing isn’t a big problem in space. That’s true, but it is spending a lot of time down here on the surface before it is launched. It could be stored in a sealed container until launch. A good example that if you look carefully, you will often find that nature has already solved, or partially solved, chemical and biochemical problems. But the environmental alarmists are almost always decades behind the curve. Largely because they chose to not study science in school. Thus it took them so long to discover that there are microbes which feed on oil spills. In a few decades they might widely accept that there are many natural processes which degrade plastics in the environment. But it is not convenient for them to ‘know’ that at present. In fact most normal people know this already. Sailors know how saltwater and UV degrades plastic ropes and climbers know that UV and oxygen degrades supposedly inert plastic ropes, at peril to life in both instances. This is common knowledge, right now. But the green f-wits will pretend otherwise and “learn” it again in years to come, if it suits their agenda that day. Aussies don’t drink Fosters much these days. Too many other great Aussie beers available. These bacteris that turn toxic heavy metal waste into gold nuggets got nutin’ on the climateer modellers. They turn fake projections into data, i.e. Fool’s Gold. Yeah, they turn gold into lead. Dog’s lead. I have only once question: Where can I get some of these adorable little critters, they sound like the perfect pet! Order from your ‘Chia Pet’ store. Order within the next 10 minutes and get a second pair of gold pooping bugs free to turn your Chia Pet into gold. GoldenDoodle is shown. Order Now! There is a gold exploration project currently active in the Pilbara region of Western Australia. Clearly detrital, flattened gold nuggets occur in an Archean (about 2.7 billion years old) conglomerate and are surrounded by a cloud of very fine gold particles. Archean gold (bug) poopers, maybe? This story made me think the same question as you posed. 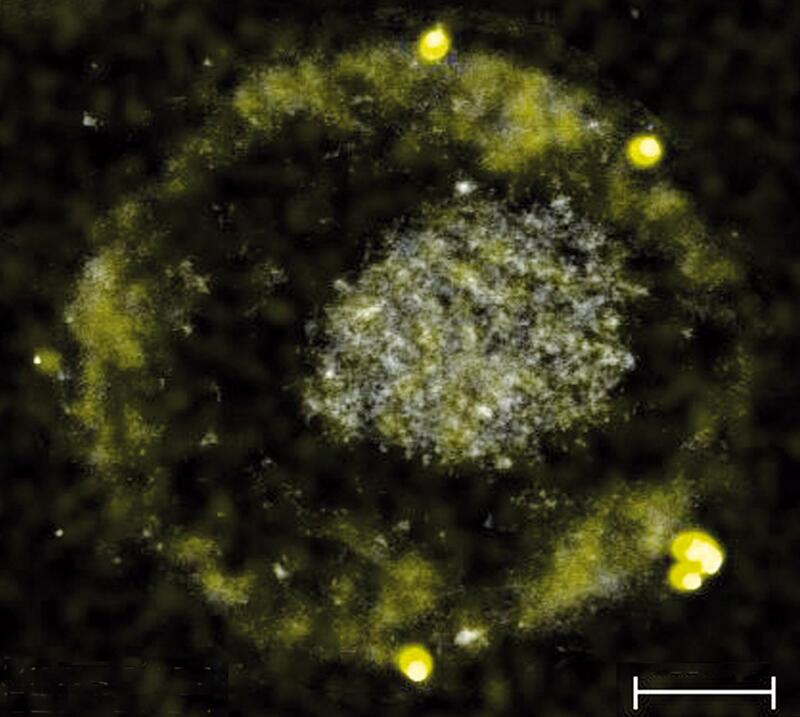 I wonder if these bacteria could be used to extract gold from mine tailings? Or even from sea water? How many critters do I need to make a commercial mining operation? The pre leaching of sulphides continues at the Fosterville Gold Mine in Victoria using methods similar to those developed by Bactech. This is one of the longer use systems of this class of technology and has been in full operation since 2005. This news sounds like good sh*t! Bio-remediation trials run some years ago at the Cripple Creek and Victor Mine to degrade the cyanide and recover bonus gold from a spent ore heap. This 5 million tonne heap had been treated by cyanide and reached zero gold recovery; heap then rinsed with fresh water. Pintail Systems conducted a trial over 13 months and recovered a further 5,000 ozs. At the same time, the cyanide was degraded to regulatory levels. Similarly the same group conducted biomineralisation studies on various sites including Summitville under the auspices of the USEPA. In this study Pintail was able to create native copper plus a suite of bio derived pseudo minerals in column tests. Pintail has also successfully conducted a wide variety of tests on complex mine waste situations. My buddy of mine is getting a piece of gold put in his eyelid so it will stay closed at night so he can sleep. Nature is full of surprises. Was the Deep Horizon oil leak that was to doom the Gulf states’ ecosystem and tourist trade? What came to the rescue?